A man in New Zealand figured out a way to beat the breathalyzer test used to determine how drunk a drinking and driving suspect is. His solution was to simply drink more than the machine could read. A breathalyzer test on a man pulled over for crossing the median repeatedly in Whangarei, New Zealand, was unable to be performed. 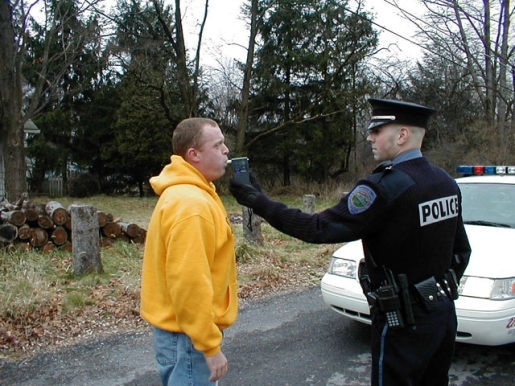 As it turns out, breathalyzers only detect 2000 mcg; when the fifty-something man was blood-tested, his blood alcohol level was 2290 mcg, over six times the legal limit in New Zealand! Of course, just because he beat the breathalyzer doesn’t mean he got away with his drinking and driving, as he’s due in court April 13. Undoubtedly, he’ll be punished severely for his clever attempt to out-drink his local police department and failed attempt at beating the system.